Barcelona has an extensive metro system that will take you from A to B with minimum stress - that is if you know how to use it! Half the battle in an unfamiliar city can be learning how to navigate their transport system, particularly if it's in a different language. That's why we are bringing you this comprehensive guide to the Barcelona metro. Don't worry about paying expensive taxi fares in this Spanish city; you can discover Barcelona by public transport - a cheap, quick and easy way to travel around. The Barcelona Metro network is the second largest underground in Spain. Extending a total of 123 km, it consists of 11 lines and 164 stations, meaning you can travel between various locations in a matter of minutes. Below is a picture of the metro map. As you will see, the lines are colour coded and labelled L1, L2, L3, and so on. Similar to the metro systems in most cities, the lines cross at a number of stations, making it fairly simple to navigate. For example, if you wanted to travel from Fondo Station to Vall d'Hebron, you would take the red line (L1) to La Sagrera where you can then change onto the blue line (L5) to Vall d'Hebron. TIP: In order to estimate your journey time, allow approximately two minutes per stop. If a change is required add 10 minutes to allow for transfer time and delays. Trains are quite frequent, with a maximum waiting time of five minutes. Tickets for individual journeys on the Barcelona Metro are €2.15, however if you intend on taking more than five journeys we recommend the T10 ticket. 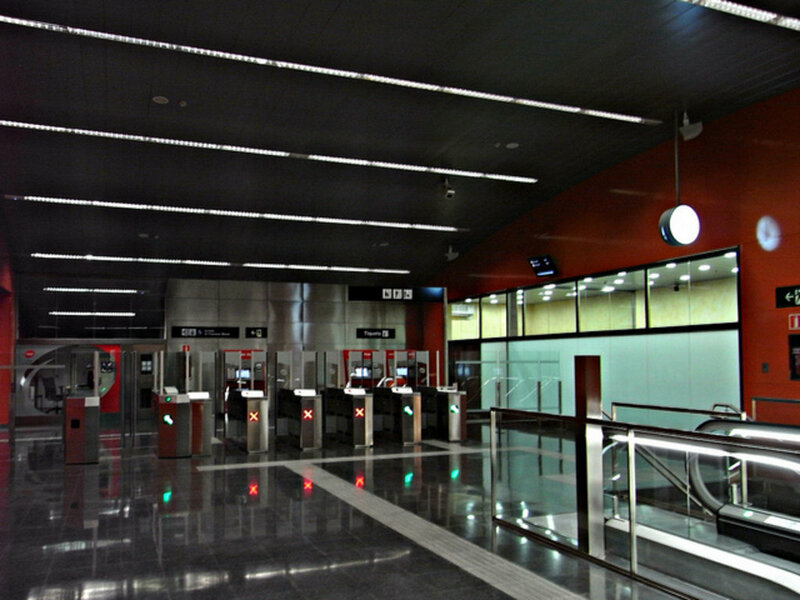 A T10 ticket costs €10.30 and can be purchased at the entrance to any metro station. The card entitles you to 10 journeys on the metro, bus, FGC (train line) and trams. These tickets can be purchased for any of the six zones, however we recommend buying for Zone 1 as this covers all of the main city areas and attractions. You may also consider purchasing a Barcelona Card. With adult prices starting at €34 (covering 2 days), this card entitles you to free transport across several different modes of transport plus you can take advantage of discounts at some of Barcelona's top restaurants, performances and souvenir shops, as well as free admission to the city's famous museums. The Barcelona Card allows travel on the airport train (RENFE) or bus (TMB), which will take you directly into the centre of Barcelona when you arrive. TIP: Always carry change as well as notes when purchasing metro tickets. Some stations have automated ticket machines that will only accept change. 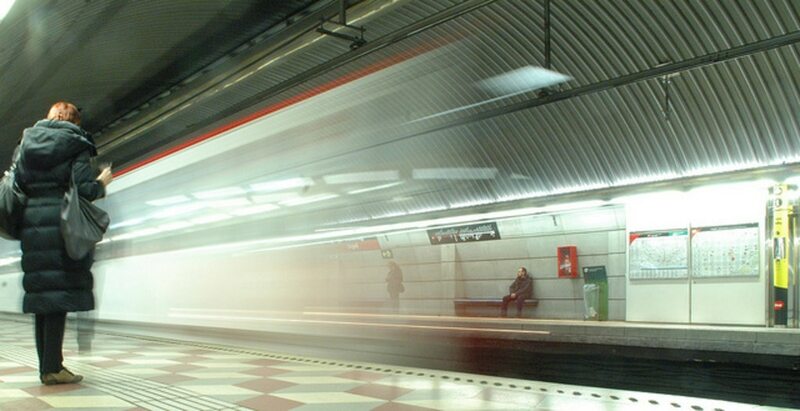 Using the metro is a quick and easy solution to all your transport needs in Barcelona. Each of the city's landmarks and tourist spots become more accessible, especially the renowned buildings byCatalonian architect Gaudi. 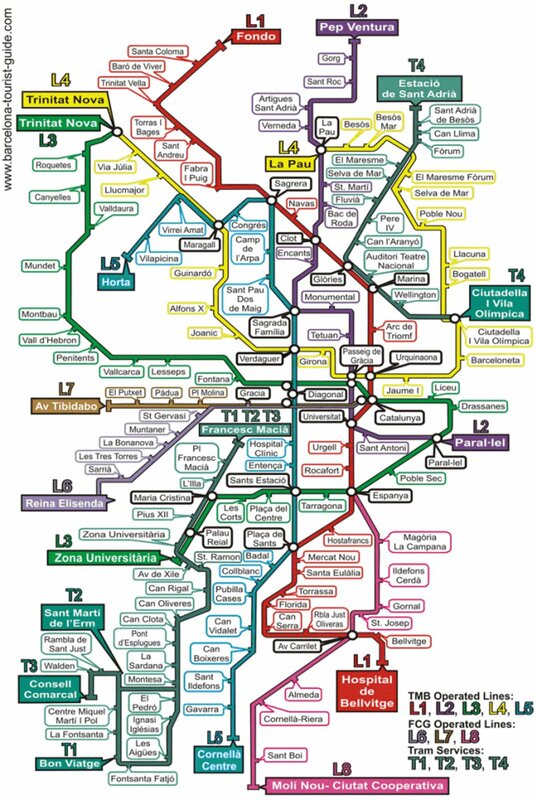 Check it out for information on which metro line you can take to each of his buildings. Do you have any questions or tips for travelling in and around Barcelona? Let us know in the comments box below. Images by David Beach, Jaume Meneses and Andrea, used under Creative Commons License.